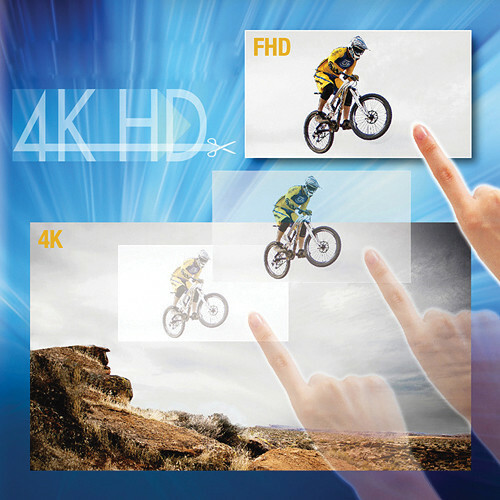 The ZE-ONE Zoom Extraction System­ from For.A lets you frame and extract specified HD scenes at any size from 4K sources using an intuitive touch-screen interface. To simulate zooming, dynamic zooming effects at key points and in various sizes can be specified in slow-motion instant replays from the FT-ONE high-speed 4K camera. This system allows you to enjoy replays of live sports coverage and other applications. Note: Control software for Windows 7 or Windows 8 computers is provided to enable touch and mouse operation.